Dr. Joe is known for making chemistry fun, fascinating and accessible to the masses. 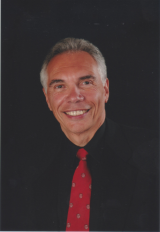 Dr. Joe teaches chemistry at McGill and is noted for his interesting lectures. He also gives talks to the regular folks too, like his monthly Mondays at the Cote Saint Luc Eleanor London Library called Science Demystified. Over the years Dr. Joe has become a kind of watchdog for the quack science that has emerged more rapidly and venomously than ever before. This is probably due to the advent of the internet, email, social media etc. A lot of the claptrap out there is attached to health claims from disease curing foods to the evils of plastics. Chances are if you have a question about something you got in an email or saw on the internet then Dr. Joe has already received an email about it. According to Dr. Joe, many of these questions can be answered with one word: Nonsense! Why? Because you need properly conducted scientific studies that are evidenced based to promote accurate health information. Nutrition is a hot topic these days. It seems like one day eggs are the devil and the next day they are the star. Butter recently made a comeback while sugar is the new evil. 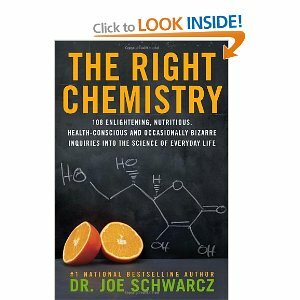 Dr. Joe is an encyclopedia of science but especially so with nutrition. He sifts through all the garbage and promotes only evidence based nutrition information. He says that you can’t go wrong if you eat your fruits and veggies. Dr. Joe has a handful of recipes he created with some well studied ingredients. I am pleased to say that Dr. Joe has given me permission to post these recipes. Watch for them over the next few weeks. Most of these recipes can be found in their cooked form at my neighbourhood fruit and vegetable store called Quality Fruits. As local lore has it, Dr. Joe’s vegetarian goulash was created as a joke. These days you can often find Dr. Joe doing quality control and tasting the wonderful foods. If you happen to see Dr. Joe at Quality don’t hesitate to go up to him and say hi. He will not bigfoot you and will gladly answer that burning question you have about blueberry enzymes curing your gout. Posted on November 28, 2012 by montrealnutrition	This entry was posted in Cooking, Family, Food and Drink, Health, Kitchen Category, Nutrition, Nutrition stuff, Technology and tagged chemistry, dietician, dietitian, Dr. Joe Schwarcz, Loblaws, McGill Dietetics and human nutrition, McGill Office for Science and Society, montreal dietician, Montreal dietitian, montreal nutrition, nutrition, nutritionniste, the right chemistry. Bookmark the permalink. ← I love this fruit picture. It’s so colourful and appetizing.